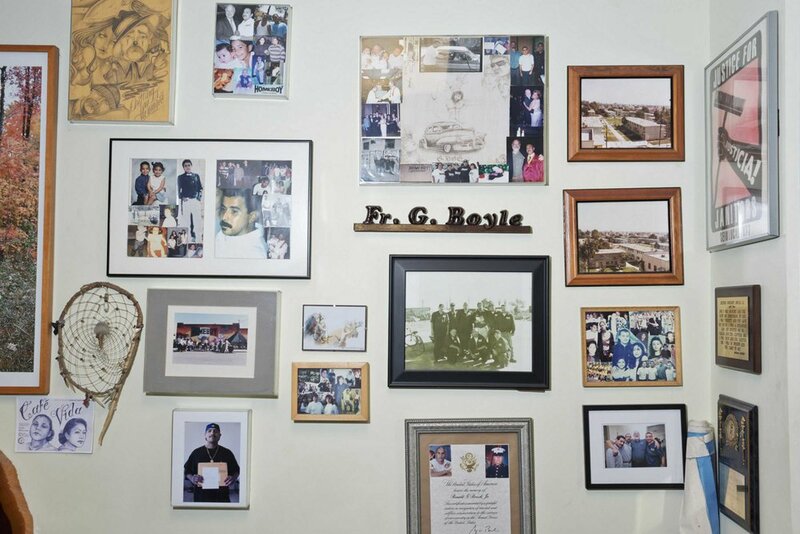 Feature onFather Greg Boyle and his Los Angeles Based non-profit, Homeboy Industries, which helps give jobs and rehabilitation to former gang members and the formerly incarcerated. H.I. has an onsite bakery, free tattoo removal service, cafe and classrooms. Photographed for Los Angeles Magazine.